An ear swab analysis was performed and revealed a bacterial infection. Broad spectrum antibiotics were started as well as, pain medication and medicated ear drops. 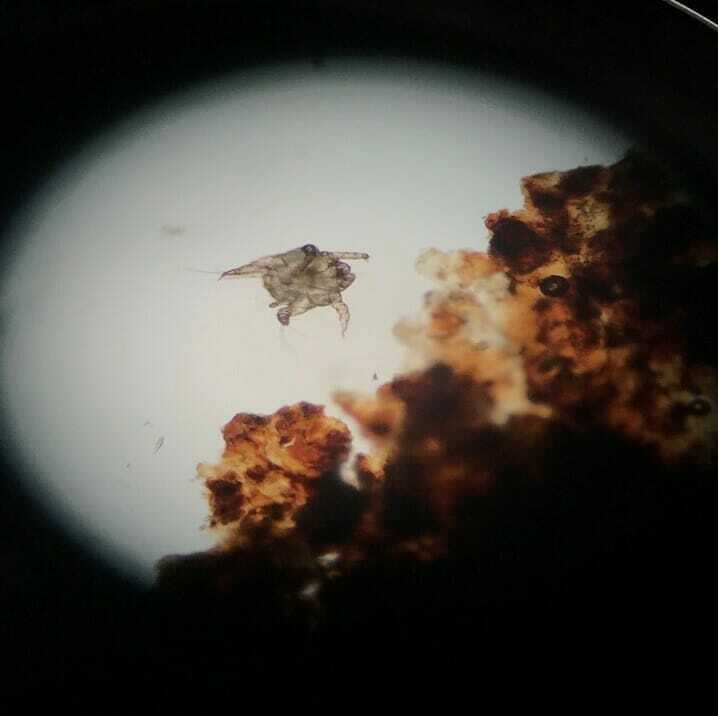 We also obtained a sample from one of the pustules and sent it to the lab for culture. 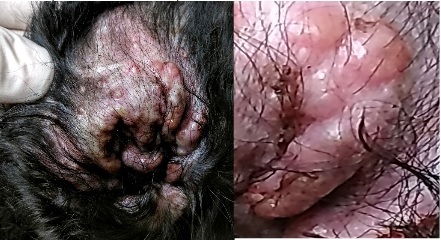 After four days of treatment, the patient’s ears had improved a little; pustules size had decreased however the ears were still inflamed and red. The patient was still shaking his head noticeably uncomfortable. 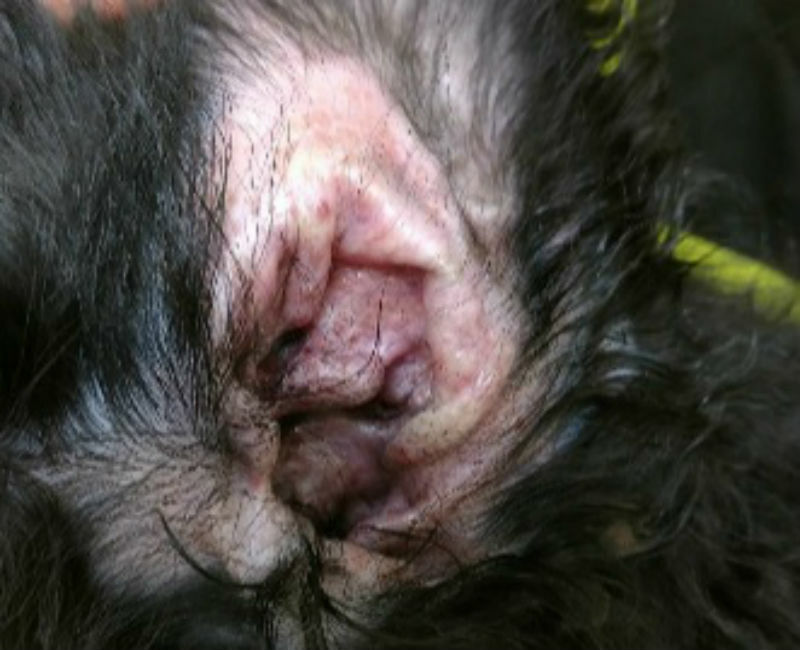 The patient’s ears were cleaned again, with a veterinary medicated ear cleanser to remove wax, debris and bacteria. Dr. Bassam started the patient on oral steroid therapy and diagnosed the patient with Puppy Strangles. Puppy Strangles, also called Juvenile Cellulitis or Sterile Granulomatous Dermatitis and Lymphadenitis. Puppy Strangles is typically an uncommon disease. Its onset is sudden affecting puppies in the first six months of their life. The pustules and swelling can look like insect bites or hives. In some cases, patients can develop swollen lymph nodes, joint swelling, fever and inappetence. If left untreated, patients can experience permanent fur loss. In severe cases, death is possible. The primary cause of puppy strangles immune-mediated, meaning, the puppies immune system is not responding appropriately to the infection. Steroids must be prescribed to treat the disease. In some cases, antibiotics will also be prescribed to treat secondary infections. Pete presented on January 9 the after ten days of the treatment and excellent care from his family. The patient had improved 100% (as shown in the main picture of this blog). The patient was back to normal eating, drinking. He was no longer limping or shaking his ears. Steroid therapy was continued for another ten days. Puppy Strangles is not your typical ear infection. Ear infections are caused by an overgrowth of bacteria and or fungus (usually yeast). Some breeds are predisposed to ear infections. Ear infections can also be a secondary infection from atopic or food allergies. Ear infection symptoms are itchy smelly ears, head shaking, red and inflamed ear pinna and canals. Ear infections are very uncomfortable. 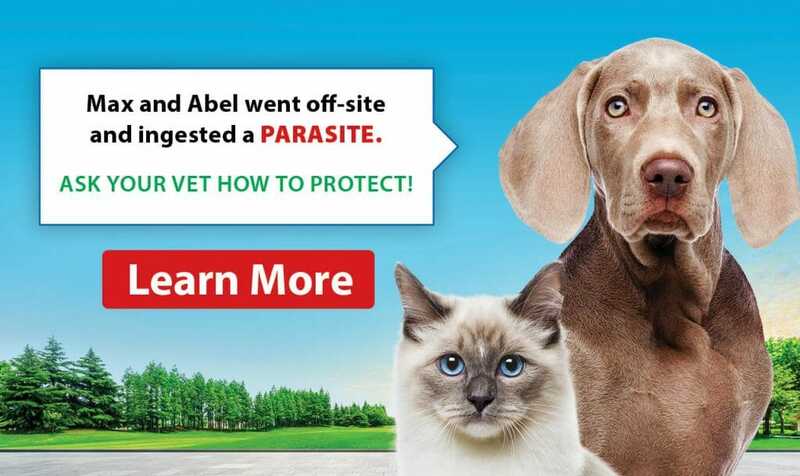 If you notice any of these symptoms, an appointment should be scheduled with your veterinarian within the week. The longer the infection festers, the more complicated it becomes to treat.